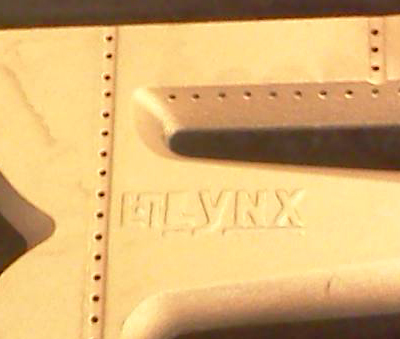 Lynx gas bbq grill replacement parts. Free Shipping. Burners, igniters, heat shields. 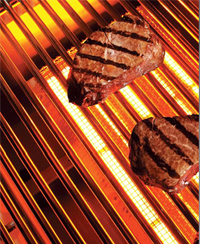 Lynx gas barbeque grills are considered one of the top 10 gas grill manufacturers in the world. With Lynx grills utilizing thicker gauge American made 304 stainless steel and American workmanship, Lynx replacement parts are rarely necessary. 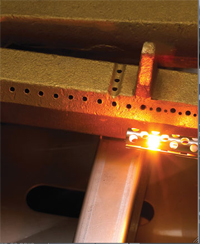 We do stock Lynx stainless briquette trays, burners and ignitors. Igniters and briquette trays are both very popular sellers. Please contact us with any questions. CS30 - L27 - L30 - L30PSP - L36 - L42 - L54 - L5430 - L54PS - LBQ27 - LBQ36 - LBQ48 - LCB1 - LCB2 - LDR18 - LDR21 - LDR27 - LDR30 - LDR36 - LDR42 - LDR54 - LIJ27 - LIJ30 - LIJ36 - LIJ42 - LIJ54 - LPSGE - LPSGEBKT - LPSGEKIT - LSB1 - LSB2 - LSB2PC - LSPGE. Technical Lynx Grill Parts information regarding ignitor kits, installation, maintenance and functionality. A must-read for anyone who owns a Lynx gas grill.